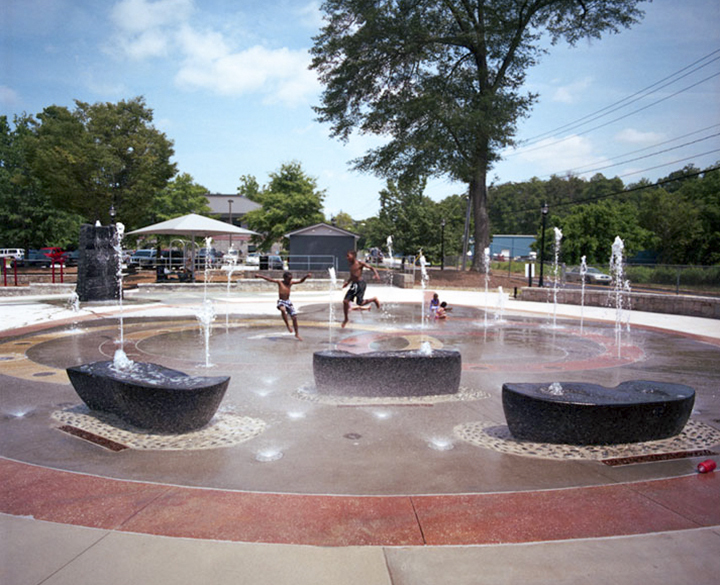 Description: A neighborhood park renovation for the City of Atlanta, the plaza includes a Memorial to civil rights lawyer and activist, Donald Lee Hollowell and an interactive fountain/water play area for children. Black granite carved water seats surrounded by fine misting jets provide an alternative experience to the active foaming and leaping jets in plaza. 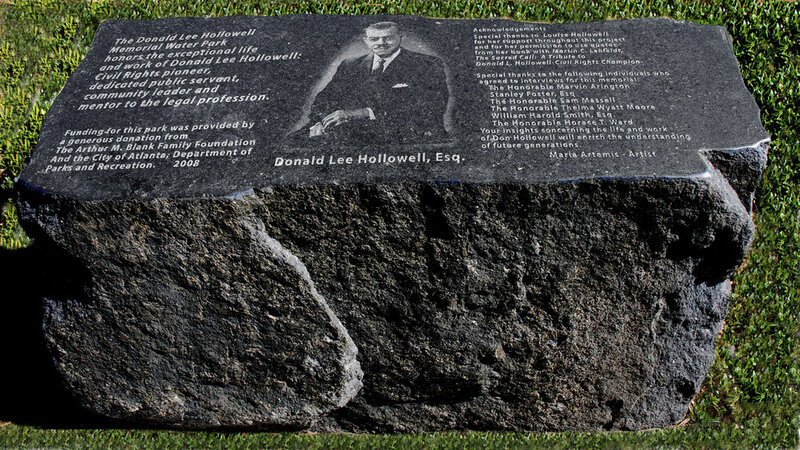 In addition to a standing quarry stone fountain, the memorial includes granite pavers with sandblasted text relating to the life and work of Mr. Hollowell. The site is an inviting gathering place for residence of the surrounding neighborhoods, engaging visitors of all ages, and an integral part of community life.